Not everyone knows this, but the Maileg mice are very house-proud little animals and they take great delight in decorating their mouse houses. 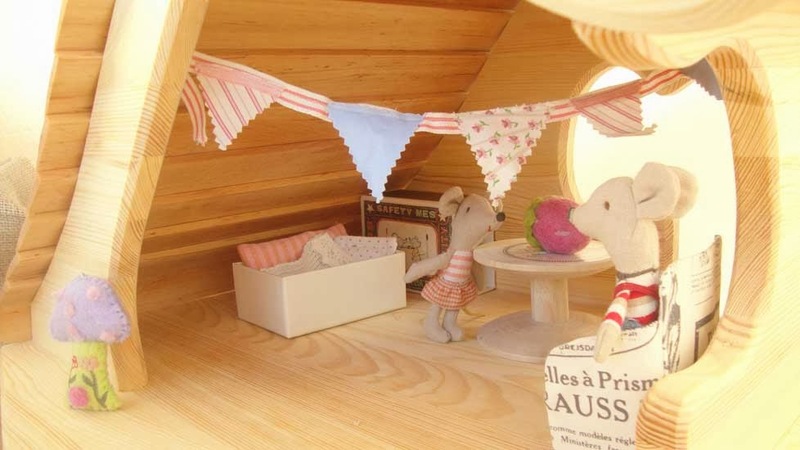 It's part of their nesting instinct. 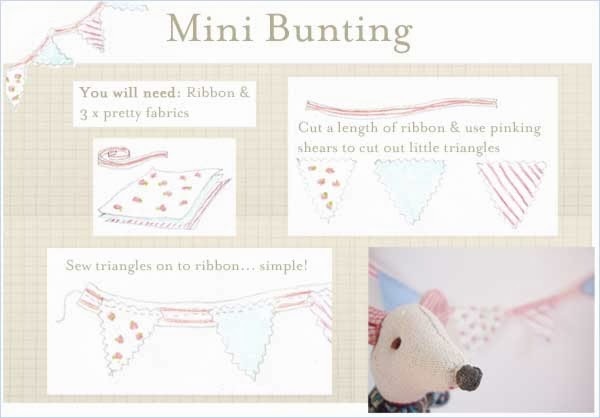 And I'm telling you, there's nothing a Maileg mouse likes more than a bit of mini bunting. 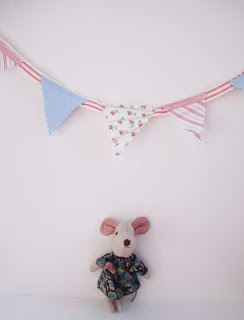 It's the very thing for draping around a mouse hole or hanging over a matchbox bed. 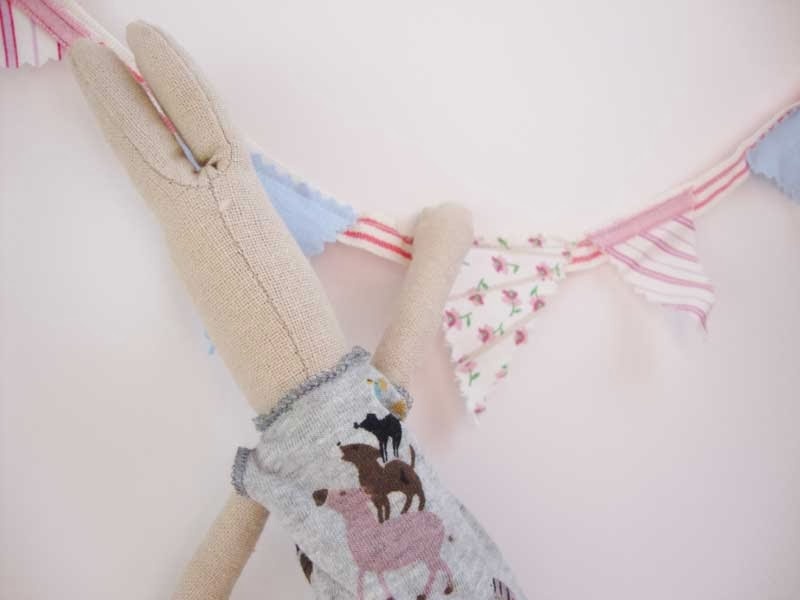 We used Maileg ribbon and a few scraps of cotton fabric to make ours, and as you can see, it is ever so simple and really does 'pretty up' a little role play area.